PJ Masks Live also Announce the Release of the Original Cast Recording Soundtrack, Available Immediately for Purchase and Streaming Everywhere. WENATCHEE, WA, FEBRUARY 14, 2019 – ‘PJ Masks Live!,’ the hit live musical production from Entertainment One (eOne) and Round Room, is back with an all-new show, “PJ Masks Live: Save The Day!” Based on eOne’s top-rated animated series, airing daily on Disney Junior, the new show features preschoolers’ favorite pre-school superheroes and familiar songs from the popular show along with brand new music and a whole new adventure. 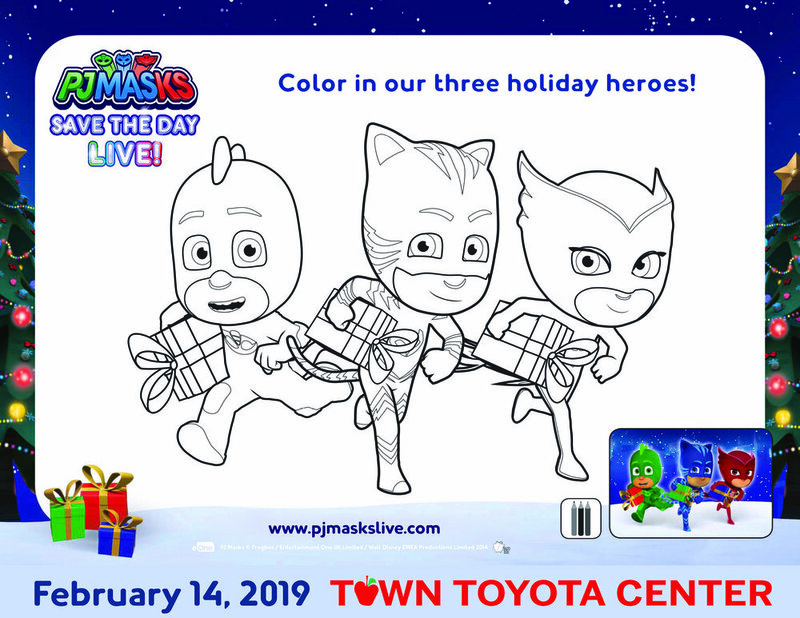 Catboy, Owlette, Gekko will delight fans of all ages with live performances featuring world-class production, toe-tapping tunes and a whole lot of super fun as they go into the night to save the day from the Villains along with PJ Robot who is new to the show for 2019! Exclusive pre-sales begin Wednesday, October 17-18, at 10 am local time, with the general public on-sale starting Friday, October 19, at 10 am local time. For a complete list of on-sale cities and upcoming shows, visit pjmaskslive.com. In addition to the new tour, the Original Cast Recording for ‘PJ Masks Live!’ is now available for purchase and streaming everywhere. The album features many well-loved songs from the series recorded by the cast of the first ‘PJ Masks Live!’ tour. http://smarturl.it/timetobeaherolive. See below for initial tour dates and locations.Many more cities will be announced and on-sale soon! For more information and to purchase tickets,please visit www.pjmaskslive.com.